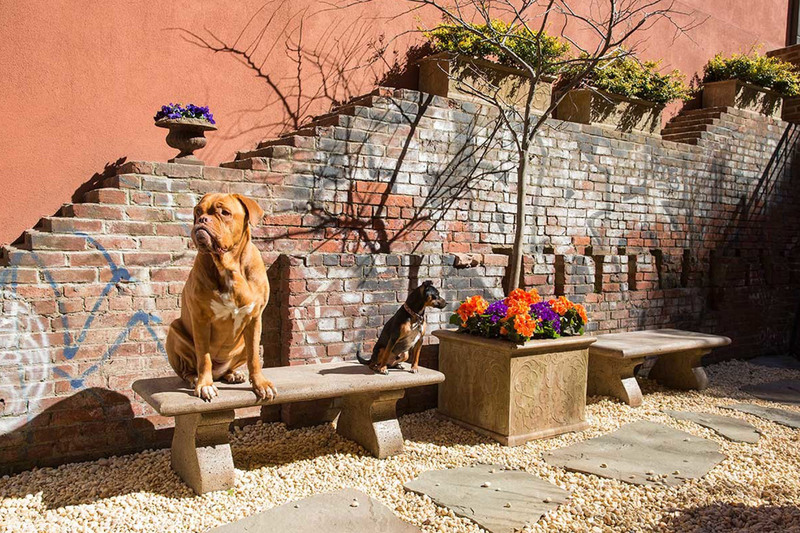 Our dedicated dog park is more than a great relief for pet parents – designed by Rebecca Cole, the park has fire hydrant water stations, bespoke benches, and a peaceful garden design. It’s a stylish way for pups to pet parents to socialize and an aesthetically pleasing backdrop for photo galleries to commemorate the event. We can also coordinate and cater your occasion – just give us a call to discuss ideas.